One of the Labor Day weekend breakfasts I made for the hubby and me was especially delightful. 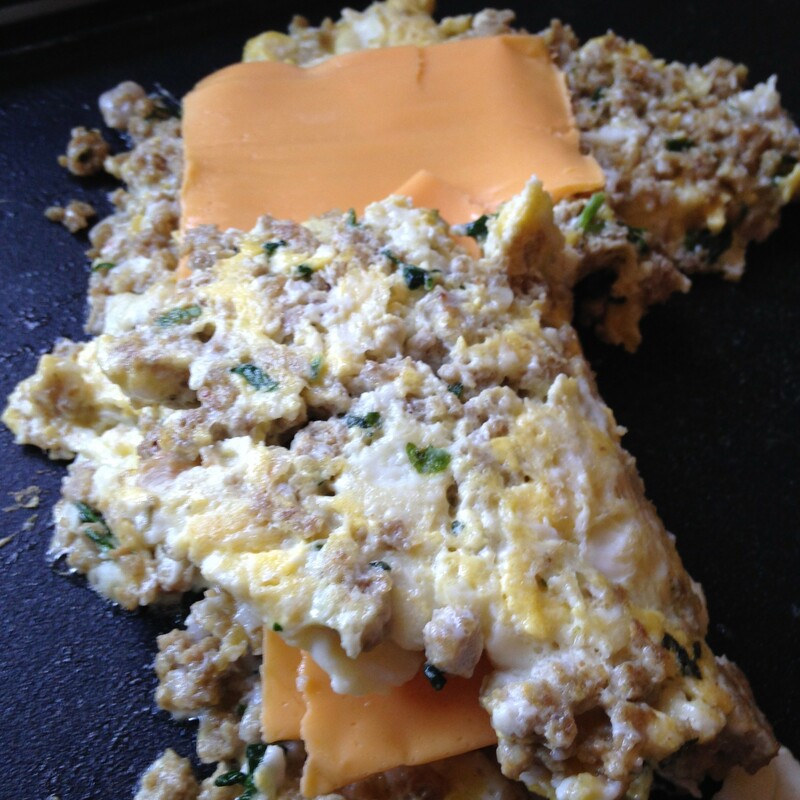 The food was really good as it was my favorite – veggie cheese omelets with ground turkey and cilantro and gluten-free waffles topped with a tad of butter and local honey. Yum! 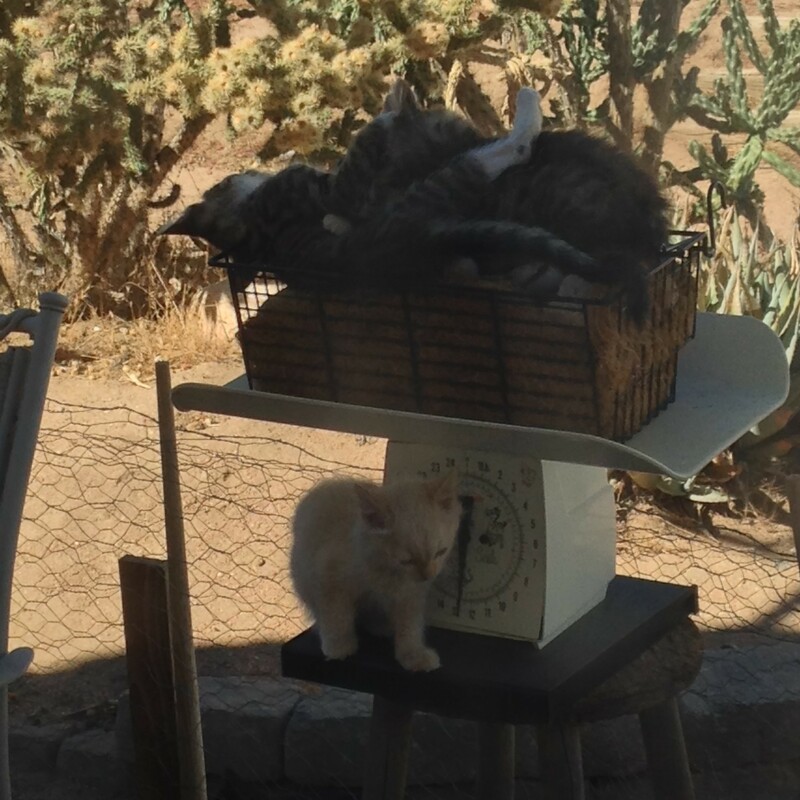 The delightful part was watching the our two little kittens, brother and sister, play inside the basket on top of the kitchen scale in the herb garden. 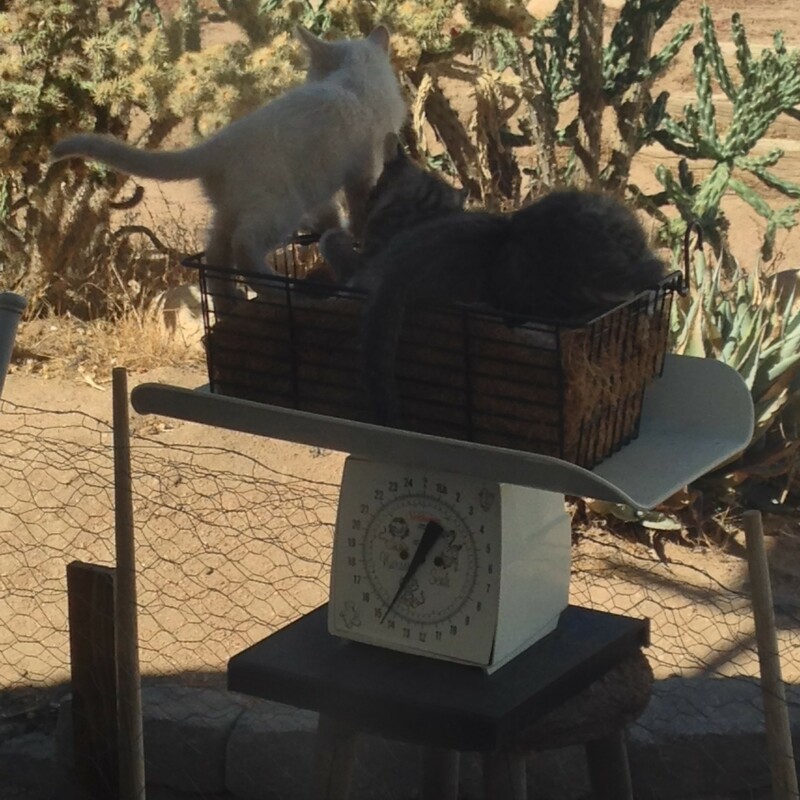 We just knew they were going to tip the basket over and make the scale fall. The vintage scale is a durable one for sure. 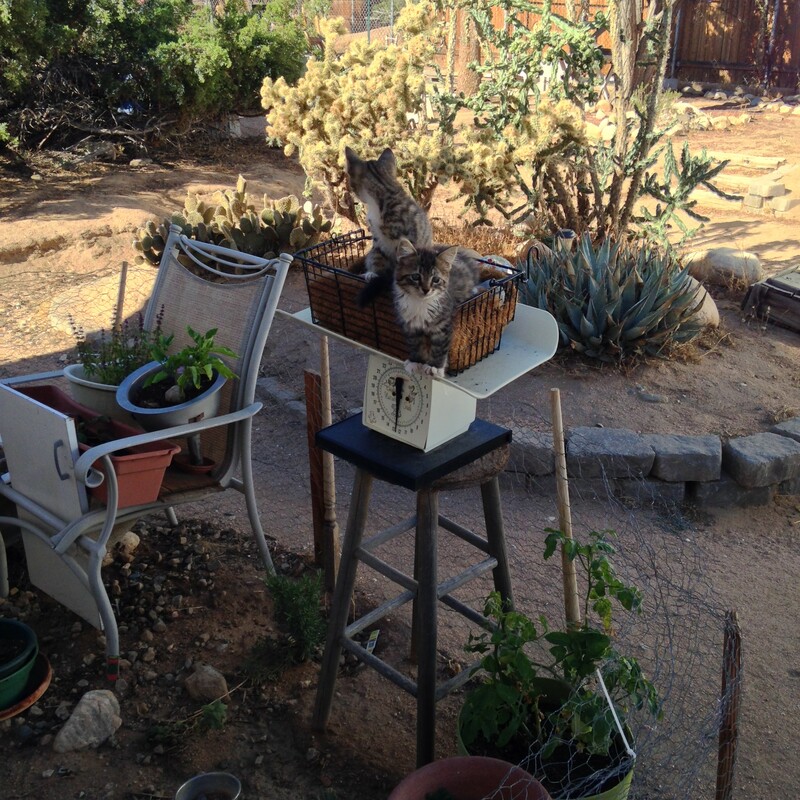 The kittens managed to keep the scale on top of the stool without tipping over. A white kitten, one of another litter and another mother, came for a visit. 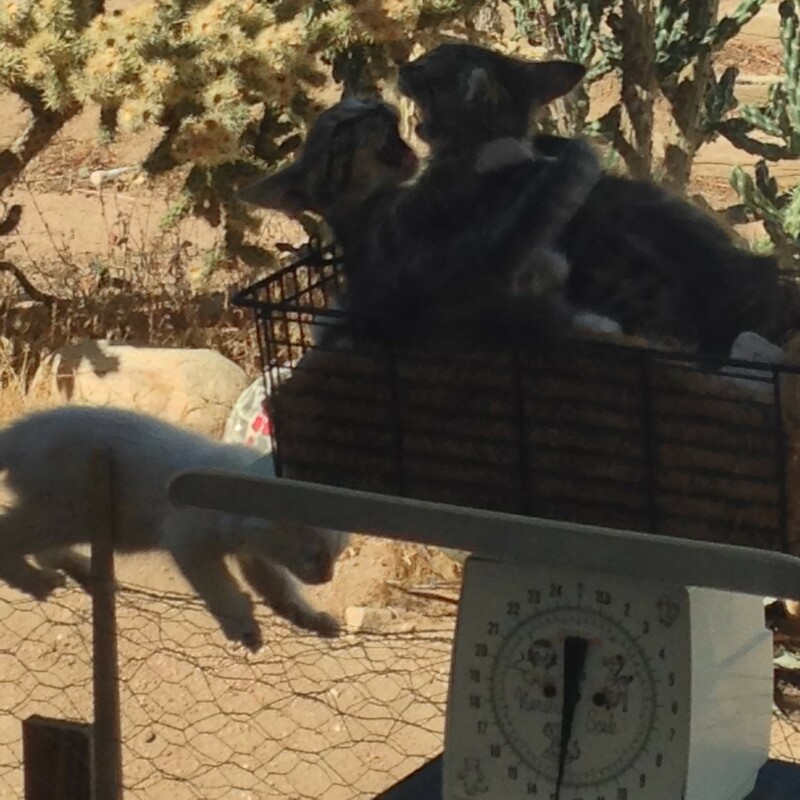 Labor Day weekend kitten play in the herb garden presented the perfect entertainment for a holiday breakfast. 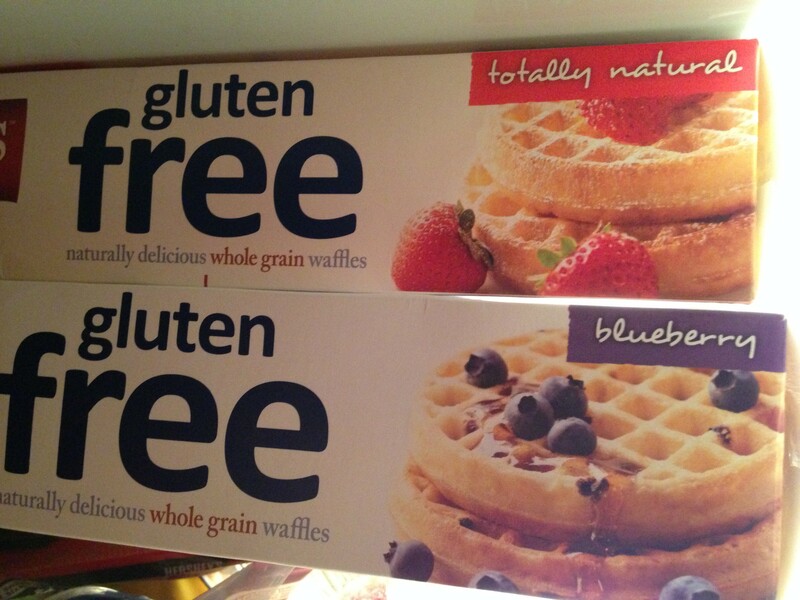 Those Vans gluten free waffles are good. They make good bread for sandwiches and bottoms for shortcake type desserts. Kittens are so much fun to watch, aren’t they? 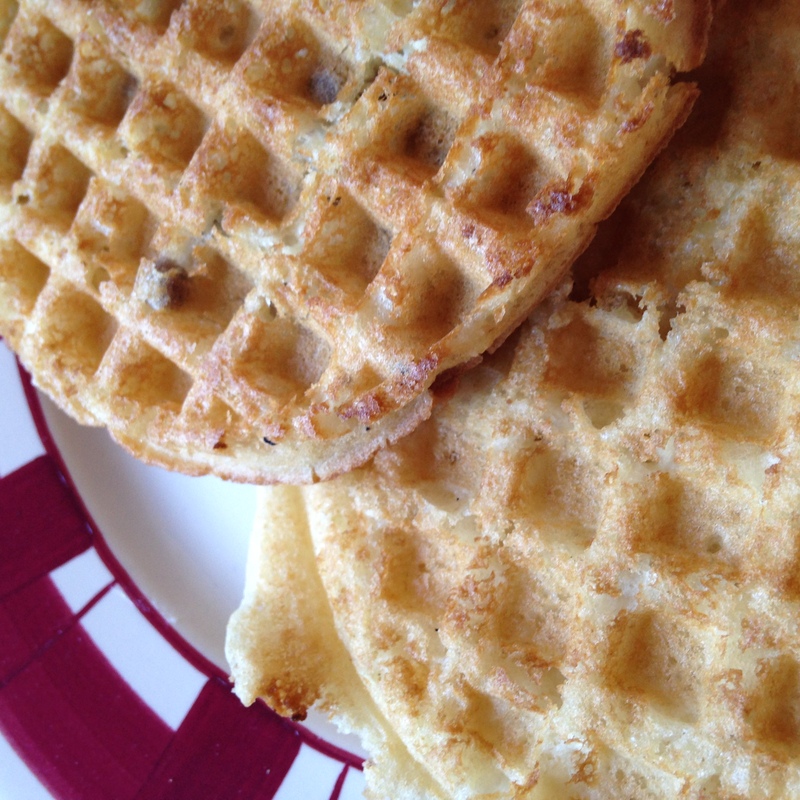 Those Vans gluten free waffles are good. They make good bread for sandwiches and bottoms for shortcake type desserts.